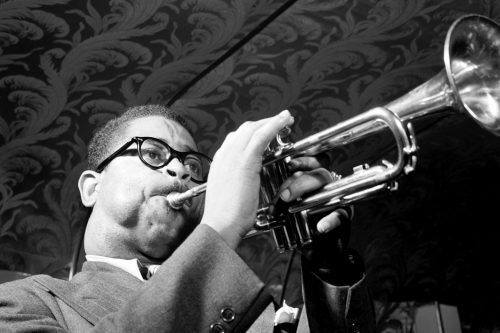 Famed for his ballooned cheeks and bent trumpet, Dizzy Gillespie was not only a pioneer of modern jazz, but also one of the greatest jazz trumpeters of all time. 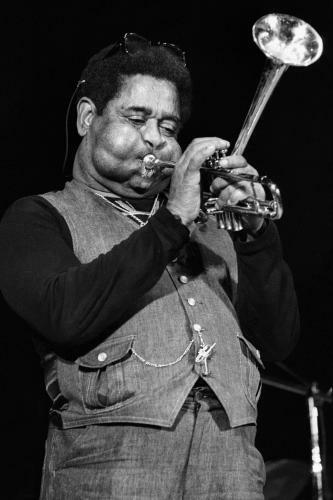 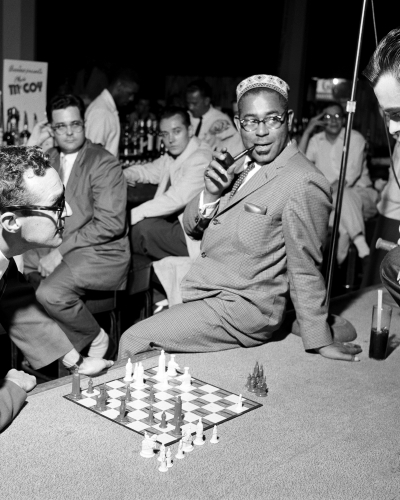 Born in 1917, Dizzy Gillespie became a musical force when he began performing in the Teddy Hill Orchestra in New York. 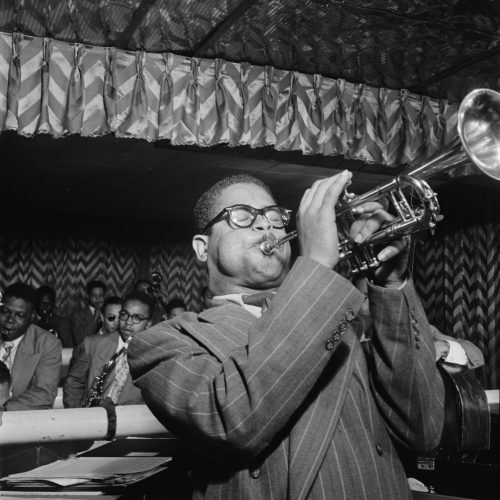 He quickly gained attention for his radically fresh approach to trumpet playing, and became a regular at iconic jazz clubs like Minton’s Playhouse and Monroe’s Uptown House. 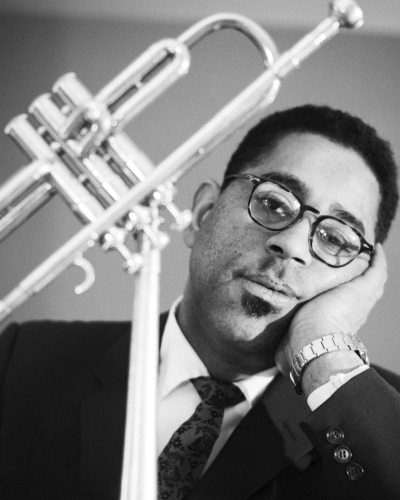 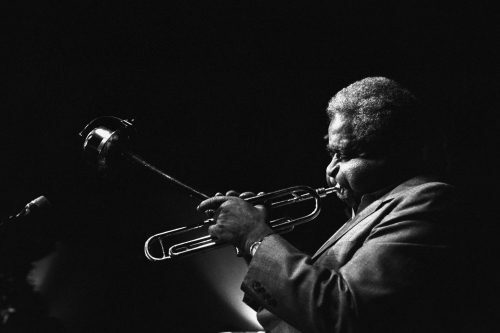 After spending some time working with greats like Ella Fitzgerald and Charlie Parker, Gillespie gained a reputation as a trumpet virtuoso and improviser. 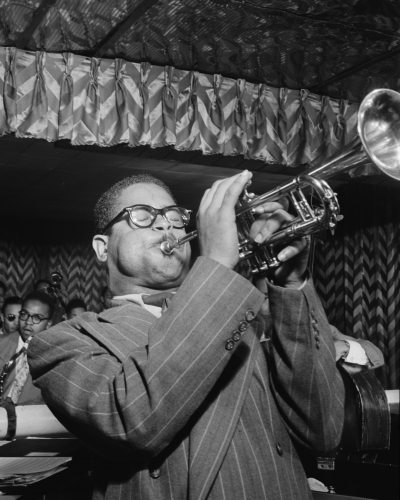 He slowly began developing an extension of jazz music, which eventually became known as bebop. 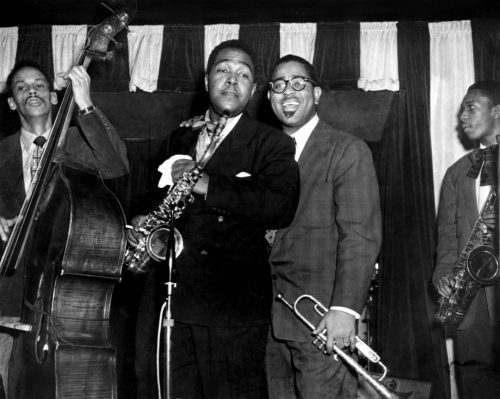 This style was a reaction to swing, moving away from the traditional sound of the genre, and into the realm of complex harmonies and rhythms. 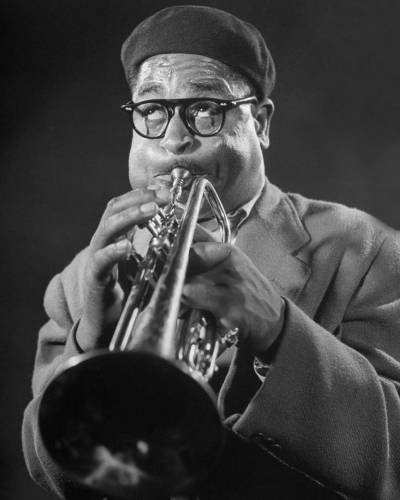 Gillespie later created his own band in 1946, which allowed him to not only spread the sound of bebop, but also to showcase his talents as both a soloist and showman. 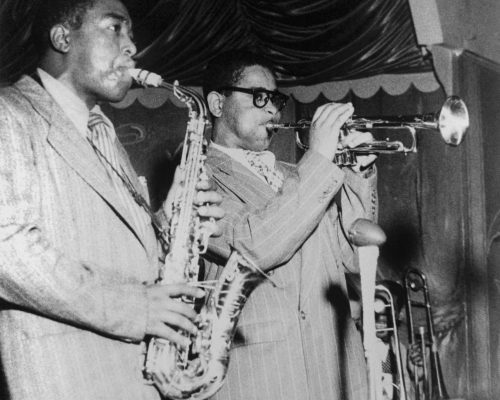 Songs like Salt Peanuts and Groovin’ High helped to cement his status as a legendary figure in jazz — a title that lives on to this day.